Your favorite social executive and entrepreneur, Mr. Evan Spiegel, CEO of Snapchat and his lovely wife, Australian Victoria’s Secret model secretly got married on May 27, 2017 in a private and intimate ceremony at their 7,164 square feet, $12 million house in Los Angeles home backyard. 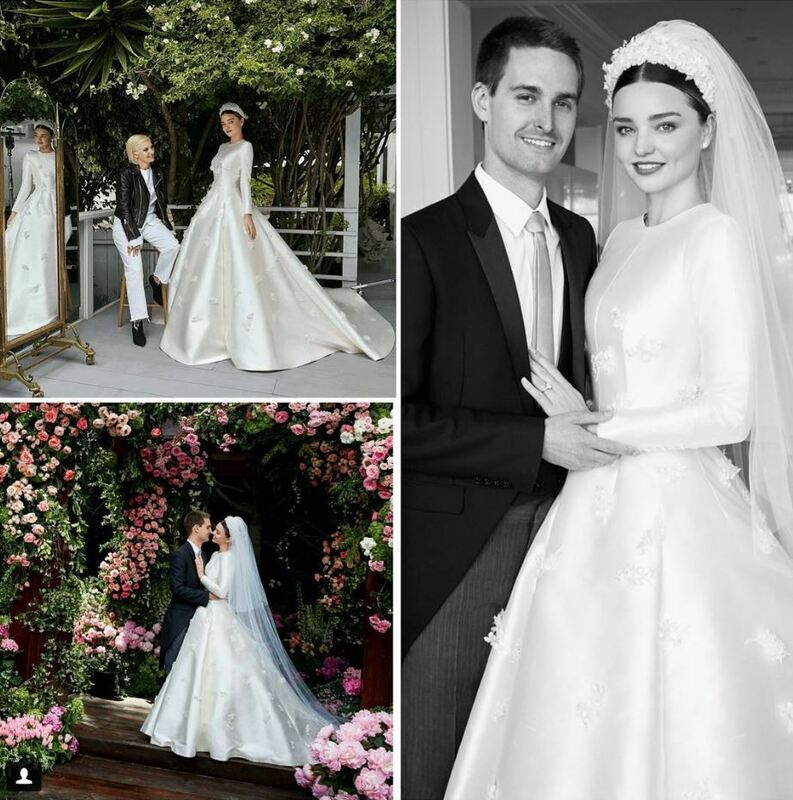 Kerr wore a custom Dior wedding dress designed by Maria Grazia Chiuri that was inspired by Grace Kelly. In November 2017, Kerr announced that she and Spiegel are expecting their first child. We could not be more excited! Fun Fact: their Los Angeles home was previously owned by the American actor Harrison Ford. Multitalented actress, model, and singer-songwriter Amanda Seyfried met her beloved in early 2016 while filming The Last Word. After few months of dating her then-co-star now-husband, Thomas Sadoski (best known for his rule on HBO hit tv show The Newsroom) the two announced their engagement on September 2016. In March 2017, they married in a secret private ceremony. Soon after their wedding, Seyfried had given birth to the couple firstborn, a daughter, named Nina Rain Sadoski.